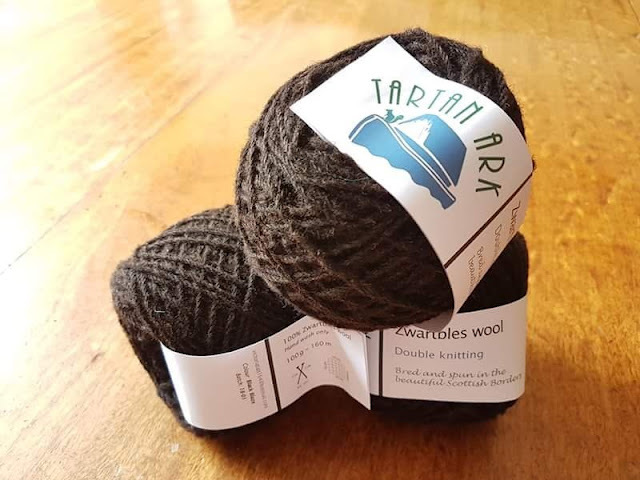 The Woolly Brew: Tartan Ark in the shop! Tartan Ark in the shop! These are Zwartbles. 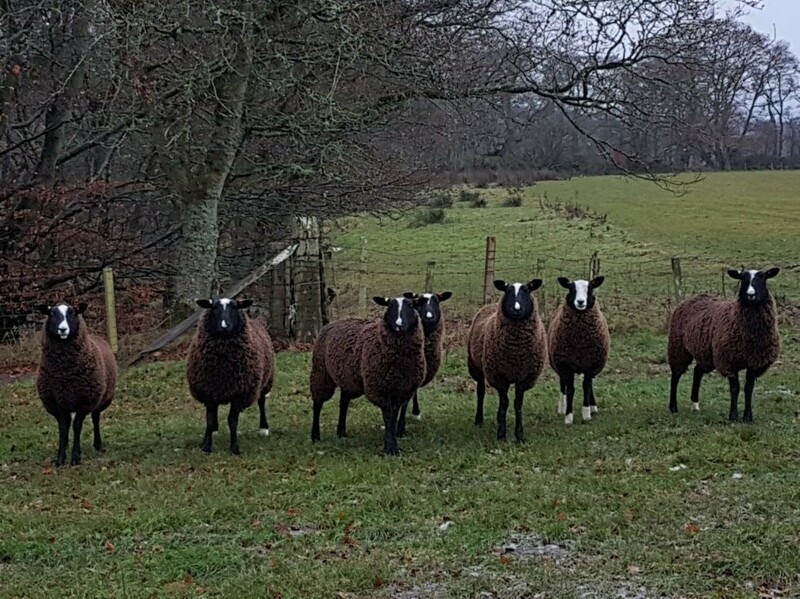 They live on Noah's farm in the Borders and their lovely deep deep brown fleece has been spun at the Border Mill. It has been balled and labelled and now it is in the shop! This is a robust yarn, I can imagine rain bouncing off it. 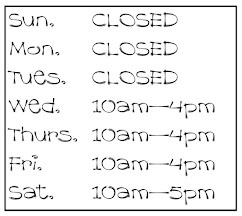 But it's not too rough and it's a pleasure to knit. You really feel like you're creating something substantial! 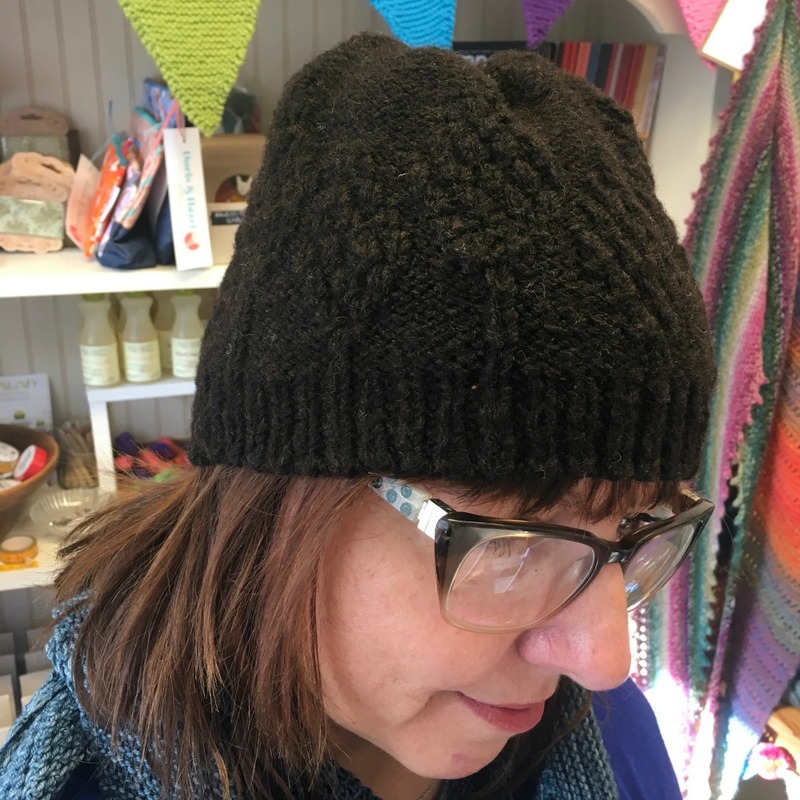 We've knitted a hat (Cedar Creek by Knox Mountain Knits) and it is very warm and dense. Perfect for outdoor types and those with cold heads. I'm now thinking mittens and socks for winter... but obviously a jumper would give ultimate warmth!